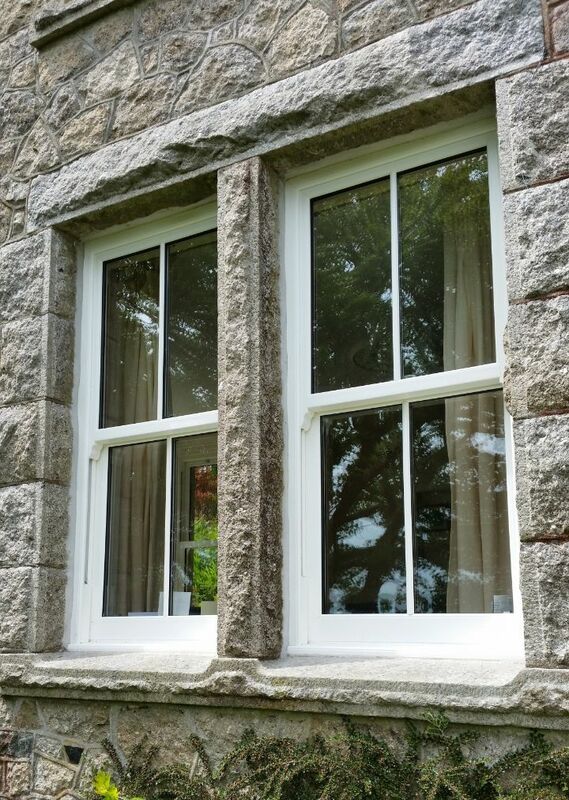 Dartmoor Windows work in partnership with Spectus Window Systems to create our vertical sliding box sash windows; systems designed to achieve a Window Energy Rating of Band A. Working closely with Spectus offers us more control of the quality of the finished product and, in turn, more variety to our clients with the glazing and hardware preferences that go into creating your unique made to measure windows. FRAME COLOUR OPTIONS AVAILABLE - Available in a broad range of colours, woodgrain and foil finishes allowing customers to match the windows to the age and style of the property. Standard colours include white, light oak, rosewood, cream and white woodgrain. Customers can mix and match, for example; opting for a woodgrain finish to the exterior and white on the inside. GLAZING TECHNOLOGY - the sliding box sash windows are internally glazed with the latest 24mm double glazed unit technology. Various glazing configurations can be specified to achieve a range of U Values or Window Energy Rating to meet customer requirements.